The Era of Nighttime Has Begun. Forty years have passed since the end of the vampire/human war. Vampires have taken over the planet and have settled in, making themselves comfortable in the infrastructure their predecessors built, with just a few adjustments to ensure a permanent night. Humans still exist, tightly controlled, because the alpha species needs to eat. But even after four decades of peace, Reginald can't shake his conviction that the war never really ended — that the archive he still holds in his blood warns of an ominous change on the horizon. As old foes rise, the power structures of both races begin to falter and the very existence of life on Earth (both hot-blooded and undead) hangs in the balance. Rebel humans have developed new and frightening weapons, and they aren't afraid to use them even if it could mean the end of everything. And Reginald Baskin — always an outcast, always neglected — may be the only chance to stop it. But as Reginald steps into his destined role as a leader, he faces a hideous inevitability that even he never saw coming … and that he may be too late to prevent. 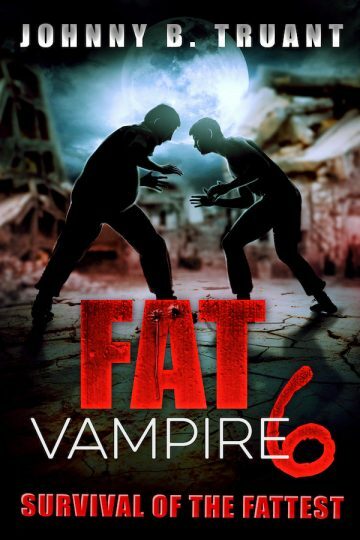 This fresh twist on the tired old undead myth is the final installment in the Fat Vampire series by Johnny B. Truant — author of many bestselling series including Invasion, The Beam, Unicorn Western, The Dream Engine, Robot Proletariat, and more.